If you are wondering where to buy a home in Tallahassee, then you might want to do a quick study on where the home buyers before you have chosen. 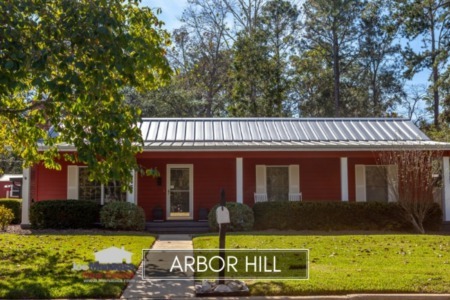 We have been producing a top neighborhoods report for eight years now on the Tallahassee Real Estate Blog, and there has been some moving around within the top 10. The top 6 neighborhoods in Tallahassee remain fairly constant (Killearn Estates, Killearn Lakes, Southwood, Killearn Acres, Bull Run, and Golden Eagle Plantation), though their batting orders move around a bit. But it's those final four positions that produce the surprises and new entrants every so often. So take a look at where buyers are choosing to live, and see if it provides some insight on where to buy a home in Tallahassee. The most popular destinations in Tallahassee are shown in the real estate graph below. The black bars measure the number of closed home sales so far this year, while the green bars show the average home sales price in each of the Tallahassee neighborhoods listed in the graph. 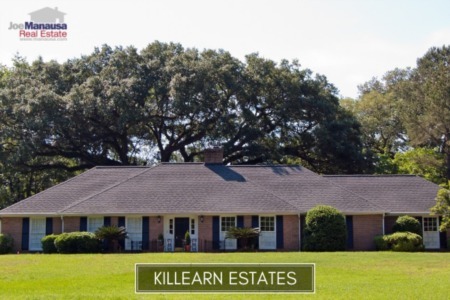 The Killearn neighborhoods continue to attract the most buyers in Tallahassee, with Killearn Estates currently leading the way with roughly 17 homes sold each month. Our top six neighborhoods have moved around a little since our last report, but they all are doing well. New buyers should note that 9 of the top 10 neighborhoods is located in Northeast Tallahassee (currently 51% of all homes sold are in the Northeast). Only Southwood continually makes the top 10 list while being located outside of Northeast Tallahassee. The next graph shows current home values, measured in price per square foot. As you can see, there is a wide range of home values in the Tallahassee real estate market. Values are currently ranging from $80 per square foot to $150 per square foot among the top neighborhoods. If you want to know more about the trends in each of these subdivisions, just click on the appropriate link below, as we produce neighborhood reports on a quarterly basis. I hope our report on the top neighborhoods has provided some insight into where to live in Tallahassee, and you can always reach out to a top real estate buyer's agent for even more specific guidance.